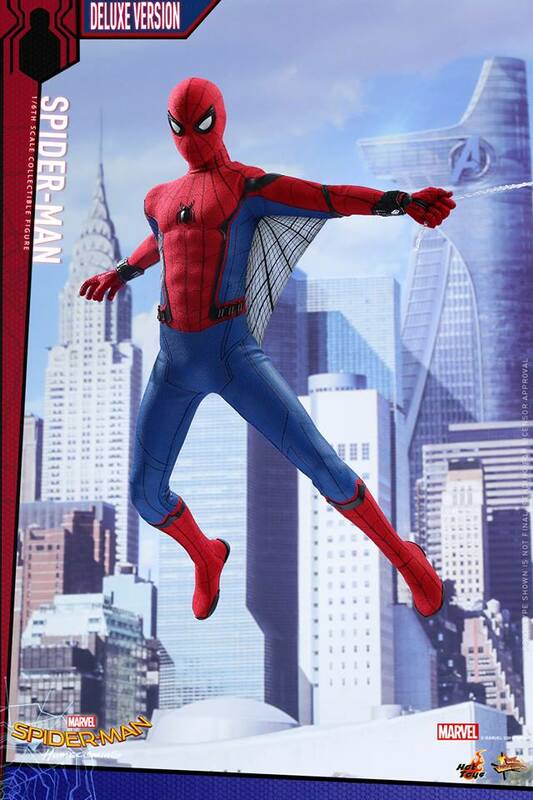 Hot Toys has revealed their highly detailed figure for the upcoming Spider-Man Homecoming. 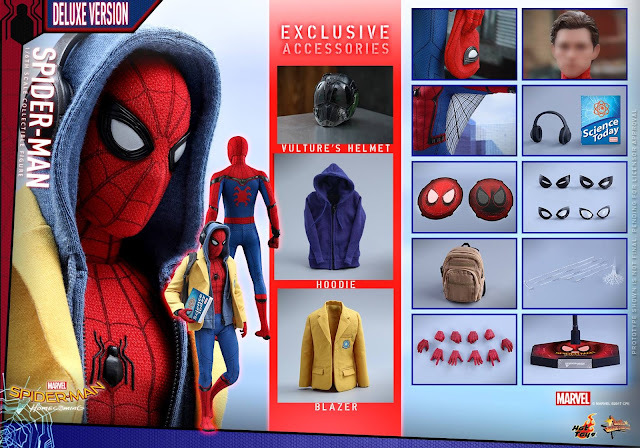 There will be two editions with the deluxe version adding the science jacket seen in the film's teaser poster. The figure most likely will not ship until the end of 2018, and if I had to guess the regular version will most likely retail for $235 with the deluxe edition costing around $260. 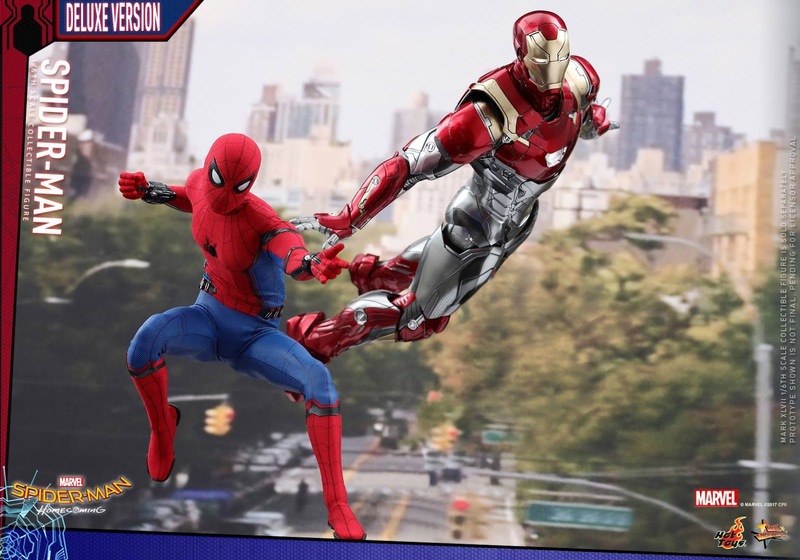 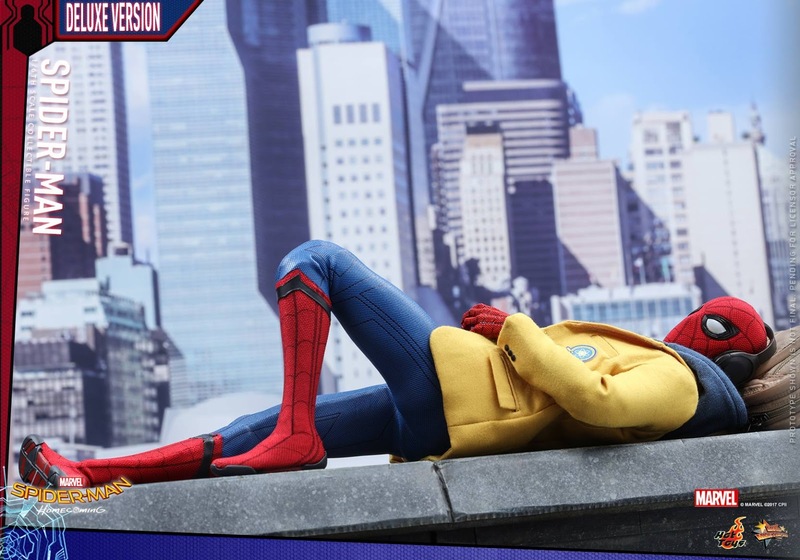 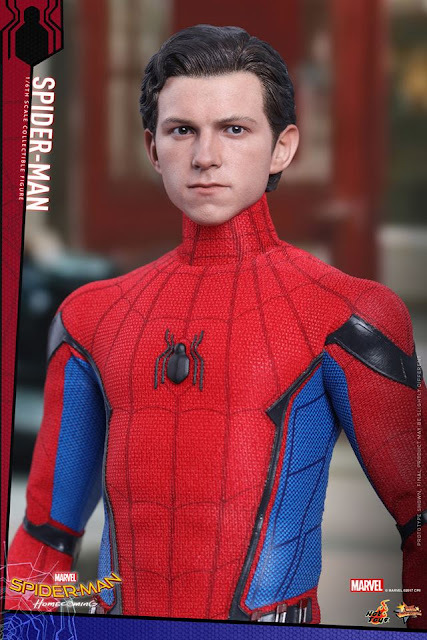 If you want this one I suggest pre-ordering it today at Side Show or Big Bad Toy Store, based on the fact that all the other Spider-Man hot toys have become extremely rare and pricey on the after market. 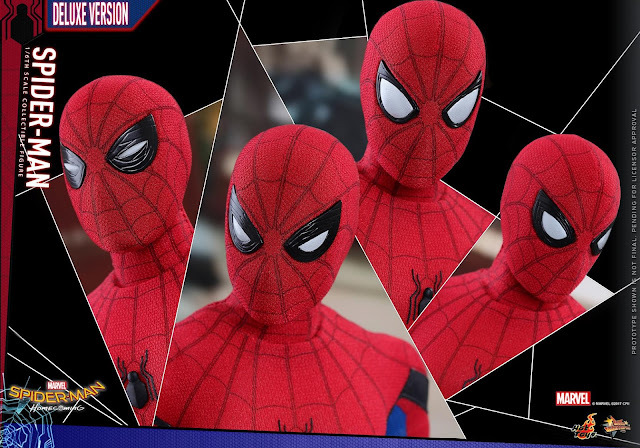 As far as my thoughts on the figure, it is hard to give a clear impression of it due to the fact that hot toys does not have the licensing rights at the moment to reveal the Tom Holland face sculpt. I do however adore the fact that the detail to attention that hot toys has put on the Spider-Man's wed pits! 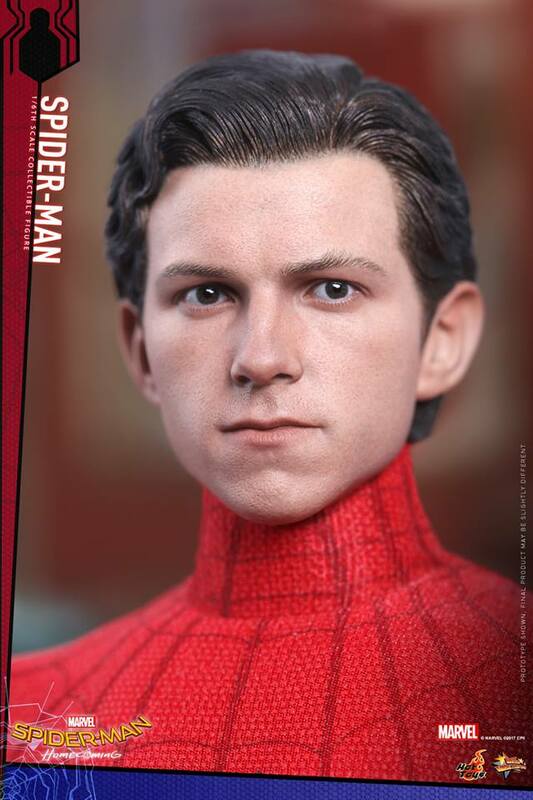 *Updated with Tom Holland Head Sculpt!